Cashless settlement at over 4000 preferred garages. 24x7 claims support. Renew once and stay covered for up to 3 years. Third party cover for personal injury, death and property damage. Complete Health Protection for an Individual. Get tax benefit. Insure your family against expensive treatment costs. Get tax benefit. Keep yourself covered in the hour of crisis against critical diseases. GPG is a 360* cover against accidents and injuries. Complete medical and health cover to the international traveller. Now travel overseas with your loved ones and without worries. Coverage for student's travel, medical and hospitalization help. Travel insurance plan for senior citizens aged between 61-75. 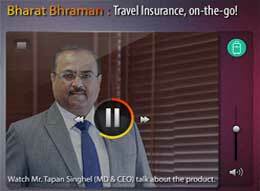 Bharat Bhraman, is a domestic travel policy for people travelling within India. Complete security for your property and contents in a single policy. Complete protection plan for your house and contents. A simplified home insurance plan designed to cover various risks faced by home owners. 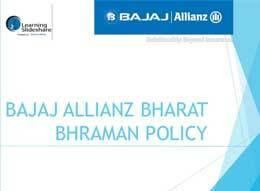 What is Bajaj Allianz Bharat Bhraman Policy? Note:Now get on-call support anywhere in the world. Just give a missed call on +91-124-6174720 and we'll connect with you on priority. If during the policy period, the insured person sustains injuries which results in death, then the insurer will pay the Sum Insured to the insured person's nominee or legal representatives. Loss of vision in one or both eyes. Loss of ability to use both hands/feet or amputation of both hands/feet. Loss of ability to use one hand/feet or amputation of one hand/feet. Under this domestic travel policy, if the company has accepted a claim under Death or Permanent Total Disability, then the company will make an additional onetime payment of 2% of Sum Insured, per dependent child towards the Cost of Education of up to two of your dependent children who were under the age of 21 and who were studying on the date you met with the Accidental Bodily Injury. The dependent child/children must be studying at an accredited educational institution on the date of the Insured met with an Accidental Bodily Injury. The age of dependent child or children should not exceed 21 years. Compassionate Visit by a Family Member. Trip Delay by Scheduled Aircraft. 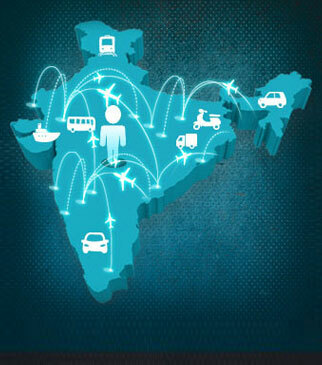 Anyone can apply for the Bajaj Allianz Bharat Bhraman, domestic travel policy. There are no age restrictions for minimum or maximum age. Suicide, attempted suicide or self-inflicted injury or illness. 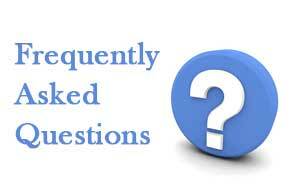 Any form of mental or nervous disorder, including stress anxiety and depression. Any act carried out under the influence of liquor, drugs, alcohol or other intoxicants. Expenses incurred on neck belts, wrist bandages, walking sticks, abdomen belts, CPAP or any other similar external aid/device. *For the complete list of exclusions, please refer to the brochure. Fast service indeed. Satisfied completely with Travel insurance options. I think india badly needs companies like Bajaj Allianz General Insurance who concentrate on their services. I appreciate it. Keep up the good work BAGIC! Disclaimer: Notwithstanding my telephone/mobile is registered with NDNC and or notwithstanding the Telecom Regulatory Authority of India [TRAI] restrictions/guidelines on unsolicited telecalls, by my accessing this web site and leaving the site half way enquiring/verify Bajaj Allianz General Insurance Co. Ltd's [BAGIC] products/services and or my making a request to call me back, it is deemed that I have expressly authorized BAGIC and or I am hereby authorizing BAGIC to call me back or send me text messages for solicitation and procurement of various insurance products and services of BAGIC. In this regard I shall not have any complaint nor complain to TRAI as to any alleged unsolicited calls by BAGIC to me.